Shopping for a new Tracfone device can be difficult with many options available from a variety of different retailers. It can be challenging to find the lowest price or even know if you are getting a good deal. We are here to help! We are often monitoring various deals and each month we gather the best prices on popular Tracfone smartphones to give our readers the best deals here. Prices and deals can change often, sometimes going up or down. We've included both Tracfone smartphone deals and several unlocked phones that can be used with Tracfone BYOP. 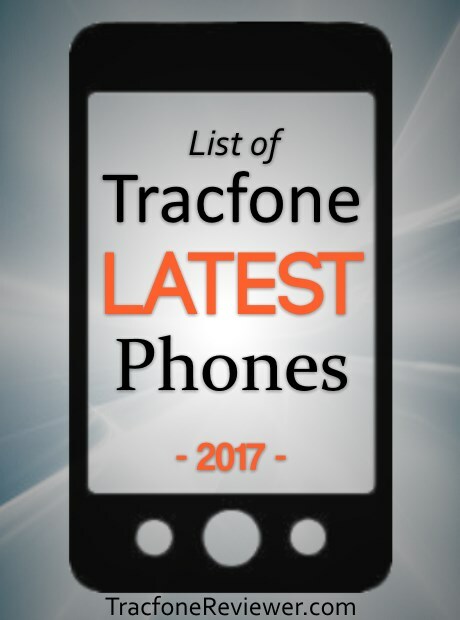 Keep up with the newest phones in our Latest list of Tracfone Smartphones (2019). Now let's get tot he deals. The Rebel 4 is a small, budget friendly smartphone with a 5" touchscreen, 16 GB internal storage, 2 GB RAM and runs Android 8.0 Oreo. The Rebel is smaller than most phones which makes it a popular choice for some users who prefer that. Learn more about this smartphone in our LG Rebel 4 Review. The J7 Crown comes with a 5.5" touchscreen, octa-core processor and runs Android 8.0 Oreo. It also has 16 GB Storage and 2 GB RAM. It has been a popular choice for many Tracfone users but is also a little more expensive than many of the other prepaid devices from Tracfone. Now there are several deals on the Galaxy Crown including airtime bundles. Take a look at our full review for further details about the Crown. With a 5.4" touchscreen, 2 GB RAM and 16 GB internal storage, the TCL LX is one of the cheapest smartphones from Tracfone that runs Android 8.1 Oreo. While the quality and reliability of this phone might not be quite at the same level as more expensive devices, it can make for a great backup or secondary phone. A low cost phone with a large screen, the Moto E5 comes with a 5.7" touchscreen, 16 GB storage and 2 GB RAM to go with the 1.4 Ghz quad-core processor. It runs on CDMA networks, has Android 8.0 Oreo and a surprisingly long battery life thanks to a 4,000 mAh battery. Get all the features and specs for the Moto E5 in our review. The Tracfone Moto G6 has a large, 5.7" screen, octa-core processor, 3 GB RAM and 32 GB storage. It brings a number of higher end features and specs to a budget device and is available fro less than $200. We saw some really great discounts on the G6 around the holidays, but these deals are still quite good. For more on the Moto G6 visit our review. While the Moto X was released a little while back, it still boasts performance on par with the Moto G6, or even a little better in some areas. It features a 5.2" touchscreen, 3 GB RAM, 32 GB storage, Octa-core processor and Android 8.0 (upgradable to Android 9). It also has dual rear cameras (12 MP main shooter) and is water resistant with an IP68 rating. This deal from amazon is for prime members only and the phone comes with amazon Alexa. The latest in the Moto G lineup, the G7 features a large, 6.2" touchscreen, 64 GB storage, 4 GB RAM, and runs Android 9.0 Pie. It was released at the beginning of March 2019 and is unlocked for use with either GSM or CDMA service on Tracfone BYOP. Take a look at our Full Moto G7 Review to learn more about this new device. Looking for a very large screen at a low price? The Vivo XL4 might be a good option with a huge, 6.2" touchscreen, 32 GB storage and 3 GB RAM, this phone packs a lot of features in at a low price. It also comes with dual rear cameras, Android 8.0 Oreo and is compatible with GSM networks. One of the best budget smartphones available, the G6 has the same specs as the Tracfone version, but the unlocked Moto G6 is compatible with either CDMA or GSM networks. Along with a 5.7" screen, 32 GB storage, 3 GB RAM and dual rear cameras, it runs runs Android 8.0 Oreo and will likely be upgraded to Android Pie when that is available. That concludes our deals and sales list for April 2019. We hope these help you get the best price on a new smartphone! Leave a comment below with any thoughts or questions and also join us on Facebook to connect with our growing community and get the latest info. Take a look at what the future might hold for Tracfone in 2019 and some of our predictions. If you're new to Tracfone, start with our Beginners Guide which shares helpful information about how it all works. And finally don't miss out on our Tracfone Promo Code list with many different codes to get free minutes when adding airtime! 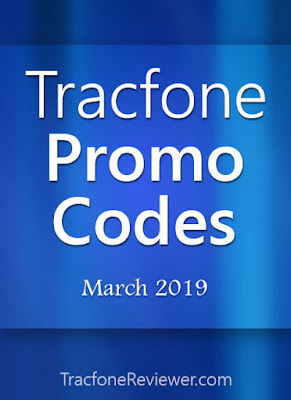 Get the latest news, reviews and promo codes here at TracfoneReviewer. 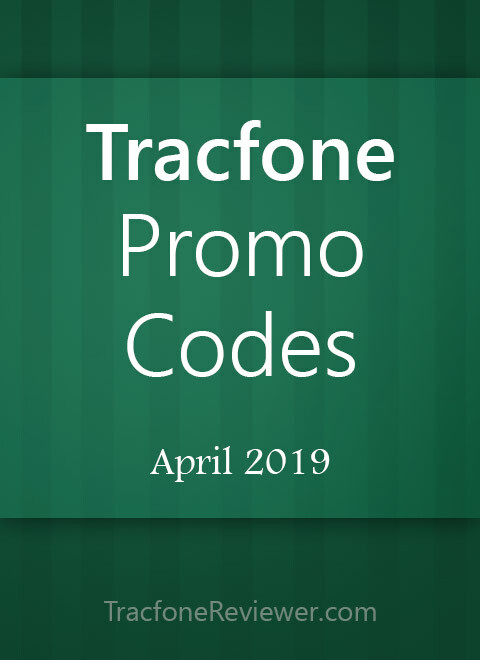 Winter is thawing for many, spring is on the way, and we've got new Tracfone promo codes to share! Each month we collect these codes and post them here for our readers to use and get the free minutes. These promo codes are for use with Tracfone when adding an airtime card. We have promo codes for both the regular airtime cards and smartphone only cards. These codes are just the latest codes, and we have more options on our main Tracfone Promo Code page. 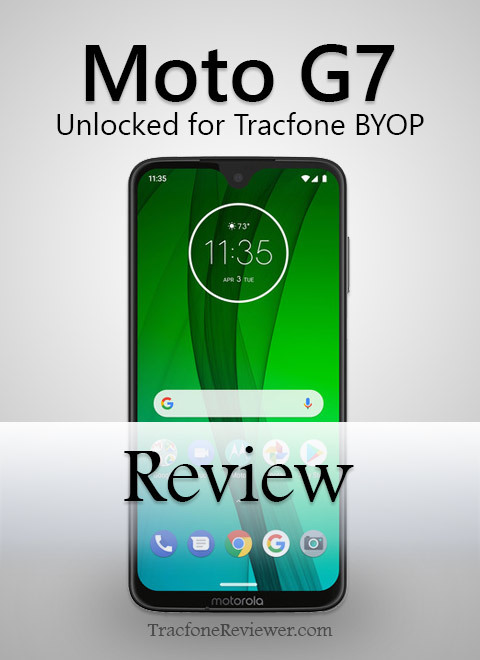 If you are looking for a new phone, see the best options in our List of Latest Tracfone Smartphones or consider the unlocked Moto G7 we recently reviewed that can be used with Tracfone BYOP. Now, let's get tot he codes. These are the latest codes to use when adding a Tracfone airtime card. We hope these codes work for you! Leave a comment below and let us know which code you used and how it worked. See what phones are on sale in our Tracfone Deals, Discounts and Sales post with both Tracfone smartphones and great deals on unlocked devices. Join our growing community on Facebook with helpful members who can answer questions or message us directly with your questions! Finally, if you are new to Tracfone start with our Beginners Guide which runs through the basics of how it all works and more! The latest in a long line of popular budget smartphones from Motorola has been released in the form of the Moto G7. It features a 6.2" touchscreen, Octa-core processor, dual rear cameras, 4 GB RAM and 64 GB internal storage. It also comes with the latest Android OS, 9.0 Pie. 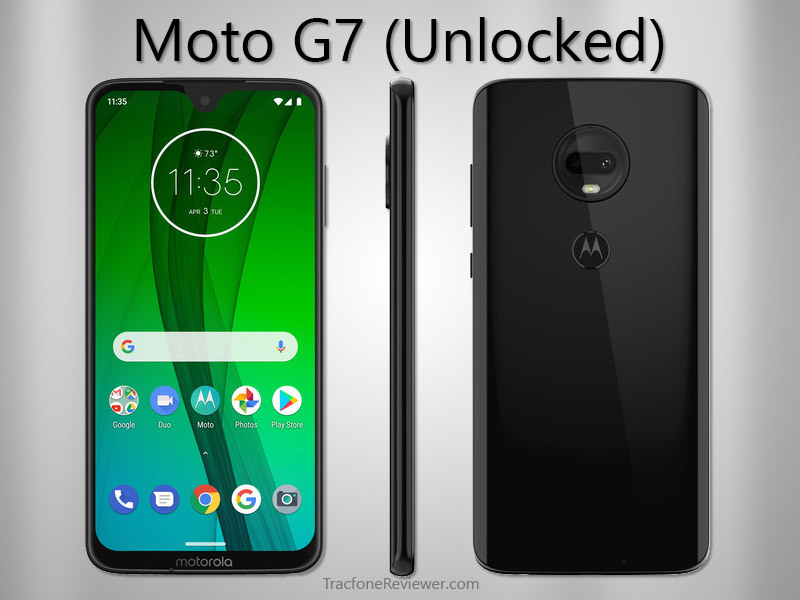 Motorola announced the G7 in February 2019 and it was released in early March 2019. Along with the Moto G7, there are three variants, the Moto G7 Power, Moto G7 Plus, and Moto G7 Play. We will share further details about each of these phones a little later on. The Moto G line has been very popular with Tracfone users because great features they offer at a reasonable price. 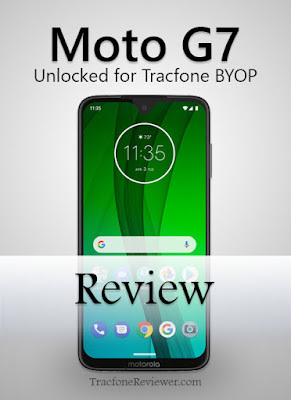 And Moto G phones are compatible with both GSM and CDMA networks (including the Moto G7) making it very easy to add it to the Tracfone BYOP program. 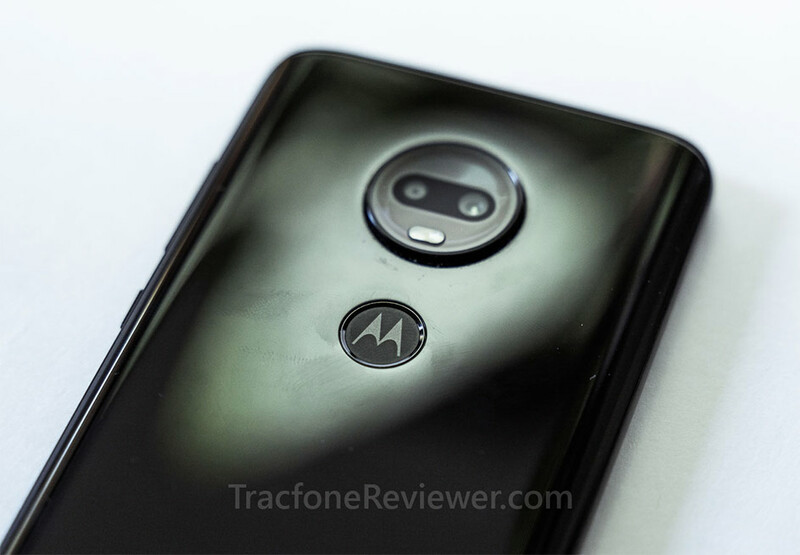 The previous version, the Moto G6, was so popular that Tracfone even released a branded version for use with CDMA networks and it is still a popular choice. Let's look at some quick pro's and con's for the unlocked Moto G7. The base price of the Moto G7 is more expensive than last year's model and for some, the increase may be a factor when considering this phone. But with the slightly higher price the G7 comes with several great features including 64 GB internal storage to hold plenty of apps and media, and 4 GB RAM to smoothly navigate multiple apps at once. The G7 does not come wtih NFC and it also has a glass back which tends to attract fingerprints. Let's take a look at the full list of features and specs now. 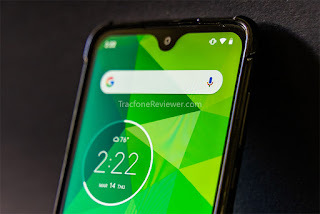 While the Moto G7 has some similarities to the previous Moto G6, such as a similar camera setup and battery size, it also has some very noticeable improvements including increased RAM and storage, as well as a larger screen. Motorola first launched the original Moto G in November 2013 as a low cost, unlocked option to use with prepaid carriers and overseas. After only a few months the Moto G was Motorola's top selling phone ever, and signaled a high demand for unlocked budget smartphones. Since 2013 Motorola has released a new model every year while also changing ownership from Google to the current parent company, Lenovo. How does the latest generation look and is it a good value for Tracfone BYOP? Let's get into the full review to find out. The G7's 6.2" touchscreen is bright, sharp and looks great even outdoors. It is full HD and has a resolution of 2270x1080 with a pixel density of about 405. The screen size is a jump up from previous versions, but the actual size of the phone hasn't changed much, thanks to a greater screen to body ratio. 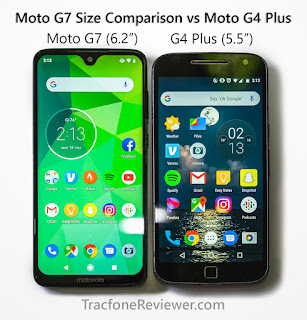 In fact, comparing the G7 to a Moto G4 Plus (with a 5.5" screen) the two phones are almost identical in size with the G7 slightly thinner and longer. There is a notch at the top of the screen where the selfie camera is located that cuts into the screen a little and looks odd at first but a number of cell phone manufactures have gone this route in order to extend the screen as far as possible. The base Moto G7 model comes with 4 GB RAM for excellent multitasking as well as 64 GB internal storage. About 12 GB is used by the operating system and pre-installed apps leaving 52 GB for apps, media and more. The phone also has a micro SD card slot in the SIM tray that can add up to 128 GB additional storage. While at first glance it seems the 1.8 Ghz Octa-core processor sounds the same as the one in the Moto G6, it is actually a newer, Snapdragon 632 processor (vs a snapdragon 450 in the G6). The newer processor leads to faster LTE speeds among other benefits. If you are looking for ways to track and check your airtime, be sure to check out 4 Ways to Check your Tracfone Airtime including several bonus options. We have a dual rear camera setup on the G7 with a 12 MP main camera and 5 MP depth sensor for getting portrait style photos. The rear camera also has flash, panorama, timelapse and slow motion. For video, the G7 can shoot 4K at 30fps or 1080p at 60fps and has electronic image stabilization. Image quality is good overall, but it does take a moment to process the photos sometimes, especially when shooting at night or in difficult lighting. With a 3000 mAh battery and such a large screen, one would not suspect the Moto G7 to be such a great performer when it comes to battery life but thanks to a combination of efficient processor and software tweaks and this phone easily lasts all day with moderate usage. And if it does start to get low, the fast charging (with the included 15W charger) has the phone back to full in an hour or less. The battery is not removable unfortunately. Featuring the latest Android OS, the Moto G7 comes with 9.0 Pie which has a number of features and upgrades over previous versions. Some of the most exiting include adaptive battery and brightness, which are tools that help your phone's battery last longer. Android Pie also has a number of navigation and display tweaks to help users seamlessly transition from one app to another, or find what they are looking for faster. And you also get a usage tracking dashboard to see how much time you are spending on your phone and with which apps. To learn more about all the new features, visit Android's official page. And if you're looking for apps for your new phone, check out the Best Android Apps for Tracfone users. The Moto G7 feels sleek and beautiful with the glass back and rounded corners. But it also feels a little delicate (even though it does have Gorilla Glass 3 protection) and the back does attract fingerprints quickly. The placement of the volume and power buttons on the right side are fine, and the fingerprint reader on the back is actually very convenient in our testing. Adding a simple case to the G7 gives a little more peace of mind and a better grip without adding much bulk. The phone looks and feels great, which just goes to show how far manufacturers have come in the budget phone market. The SIM card and Micro SD card are accessible in a tray on the top. An included thin metal key must be used to open the tray, but any paperclip would also work. Two additional versions of the G7 will also be available in the US in the form of the G7 Play and G7 Power. The G7 Play has a smaller, 5.7" touchscreen with 720x1512 resolution, a single, 12 MP rear camera and just 2 GB RAM and 32 GB storage. However, it does have the same 1.8 Ghz octa-core processor, runs Android 9 Pie, and many of the other features from the G7. With a retail price of $199, the G7 Play is a bit more budget friendly albeit with some performance sacrifices. The G7 Power has the same sized, 6.2" screen, but with a lower 720x1570 resolution. The power is a little larger and heavier than the G7, but that is mostly due to the much larger 5000 mAh battery which should easily last two days of normal usage on a single charge. The G7 Power comes with 3 GB RAM and 32 GB storage for the US version, with the international version featuring 4 GB RAM and 64 GB storage. It also has just a single 12 MP rear camera and will retail for $249. How does the new version stack up to the previous year? Is it worth upgrading? The G7 comes with some noticeable improvements, particularly the larger screen and increased RAM and storage as well as newer processor. Somewhat surprisingly, even with the larger screen, the G7 is only just barely larger than the G6 with a 0.5" smaller screen. But for those who already have the G6, it isn't that much more of an improvement to warrant an upgrade as the G6 is still a great phone with 3 GB RAM, 32 GB storage and an octa-core processor. For those with older devices like the Moto G4 or Moto G5 the G7 would make an excellent upgrade. But what about The Moto G7 Play vs the Moto G6? Both phones are available for $199 (with the Moto G6 actually available for less from many retailers). Both phones have a 5.7" screen with the G7 Play featuring a lower resolution screen but a higher screen-to-body ratio (meaning the phone is a little smaller overall). Both phones have 32 GB storage, but the G6 has 3 GB RAM vs only 2 GB in the Play. The G6 also has the dual rear camera for portrait mode, while the G7 Play just has a single rear camera. The Play does have a newer, more efficient processor and it comes with Android 9.0 Pie .The G6 is upgradable to 9.0 Pie as well. The two phones are pretty close, and for us, it comes down to price, with many retailers offering discounts on the Moto G6 for as low as $150. Motorola has released yet another generation in their Moto G line that brings great features at a reasonable price and will certainly be popular with Tracfone BYOP users. The Play and Power variants have their own pro's and con's but offer good value. 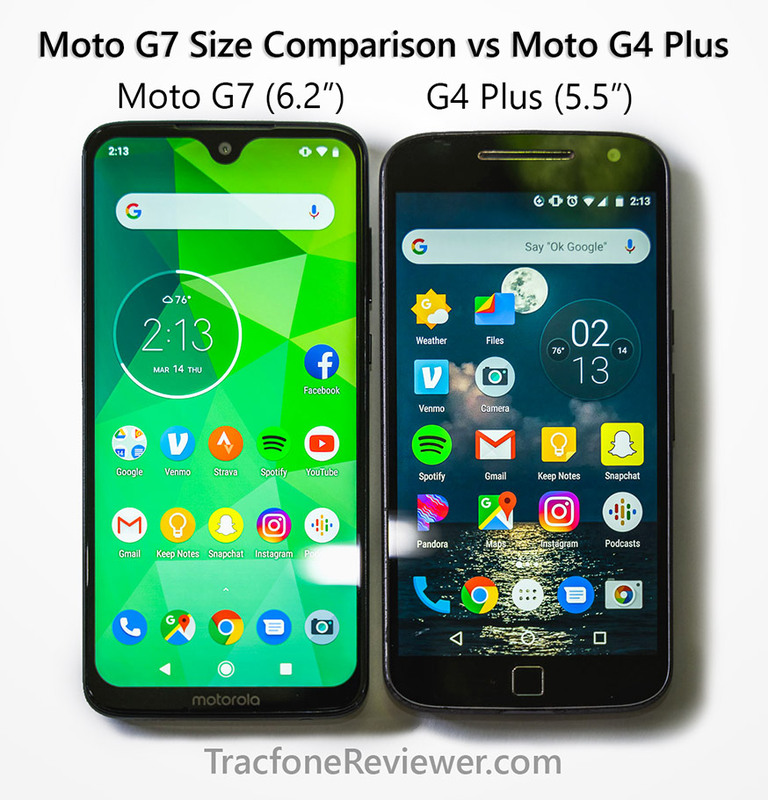 While the higher price of the G7 may make it a little less desirable compared to last year's release, it does bring some significant upgrades as well. Will we see the G7 released by Tracfone sometime in the near future like the G6 ? We're not sure yet, but it did work very well with the G6 so they may try that again. Using the G7 with Tracfone BYOP is very easy. Simply purchase a SIM card kit (for $1) and transfer your service from your previous phone. Be sure to record your airtime balance just in case something happens. Additionally, if you are already using a Nano SIM card, you can just take it out of your old phone and put it in the G7 and it should work properly. This concludes our review of the Moto G7. We hope you found this information useful and leave a comment with any thoughts or questions! If you're new to Tracfone, take a look at our Beginners Guide to Tracfone which will cover some of the basics of how airtime works, and the different phone options available. 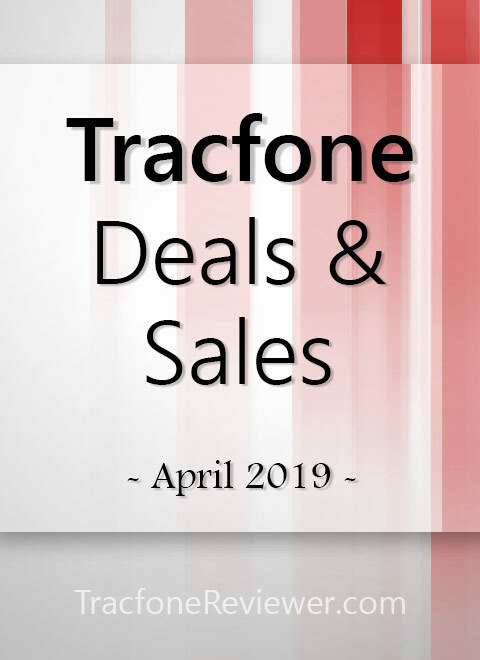 Keep up with all the Deals, Discounts and Sales on both Tracfone devices and unlocked smartphones from around the web. Join us on Facebook for the latest news and updates and to get any questions answered from our growing community. Finally, don't miss our 8 Simple Tips to Take Better Cell Phone Photos. Get the latest news, reviews and more from TracfoneReviewer! 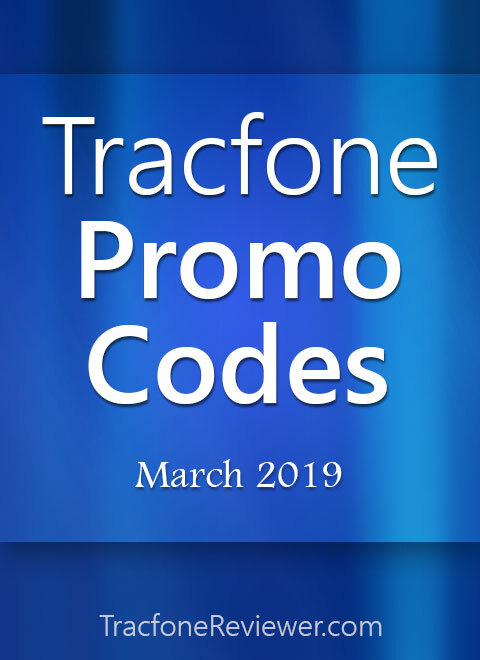 With many looking forward to spring around the corner, we've got some new Tracfone promo codes for March to help everyone get through the rest of winter! We gather and share these codes each month with our readers to use and get additional airtime for free when adding a Tracfone airtime card. There are promo codes for both regular cards and smartphone only cards (and also the 1000 text card this month!) listed below. To get the free airtime, simply find a code for the airtime card you want to use and enter it in the promo box when adding the airtime or checking out. Some of these codes may be one time use, or for specific types of cell phones so they don't always work. For more options, visit our main Tracfone Promo Code page. 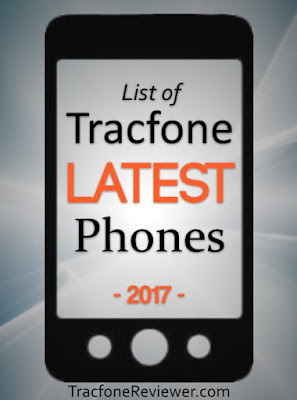 Stay up with the newest phones in our Latest List of Tracfone Smartphones 2019. And we recently updated the 6 Best Cell Phones from Tracfone in 2019. Now, let's get tot the codes! These are the codes updated for March 2019. We hope these codes work for you and leave a comment with any thoughts or questions! 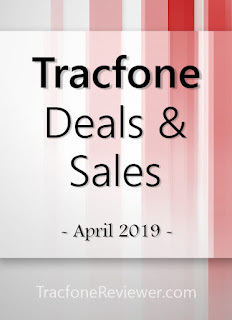 Check out the best Deals, Discounts and Sales on Tracfone from around the web including airtime bundles and unlocked devices. Join us on Facebook with a community of helpful users to answer questions or send us a message directly. Finally, if you're looking for some new apps to load up on your smartphone see our Guide to the Best Apps for Android Tracfone!